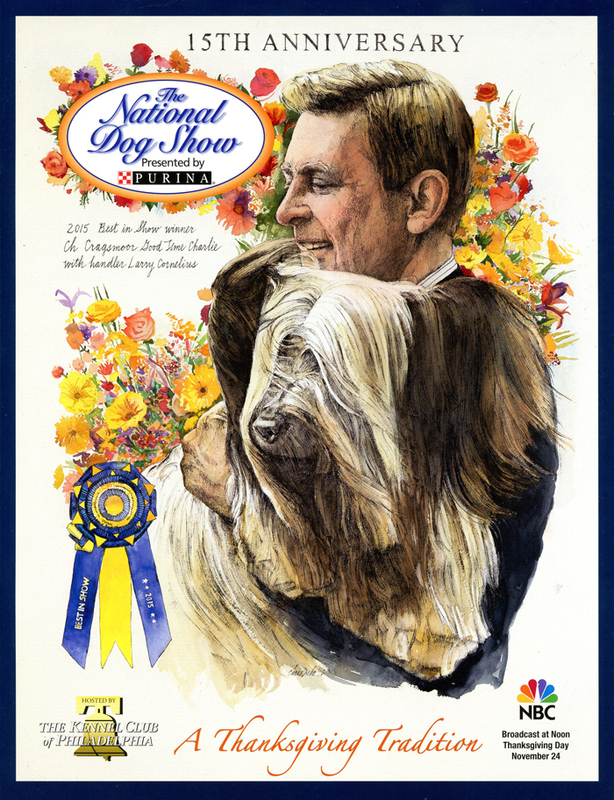 It was a great joy to paint Charlie with his handler Larry Cornelius for the National Dog Show poster and program cover. Charlie is a Skye Terrier of such effortless grace that many predicted he would be the show's top dog in advance of the judging. For reference, I used the magnificent photo of Charlie and Larry taken by Rhonda Cassidy, photographer par excellence (at mydoglovesrcphotos). As I draw, my appreciation of the elegance and dignity of the breed deepens. Agile and strong, Skye Terriers are also unbelievably cute! I love that Rhonda captured Charlie with a bit of breeze wafting through that profuse coat of hair - a perfect Marilyn Monroe gust for our champion.